Destiny 2 had a bit of a rollercoaster year last year, especially with the Curse of Osiris expansion, but came back strong with Warmind. 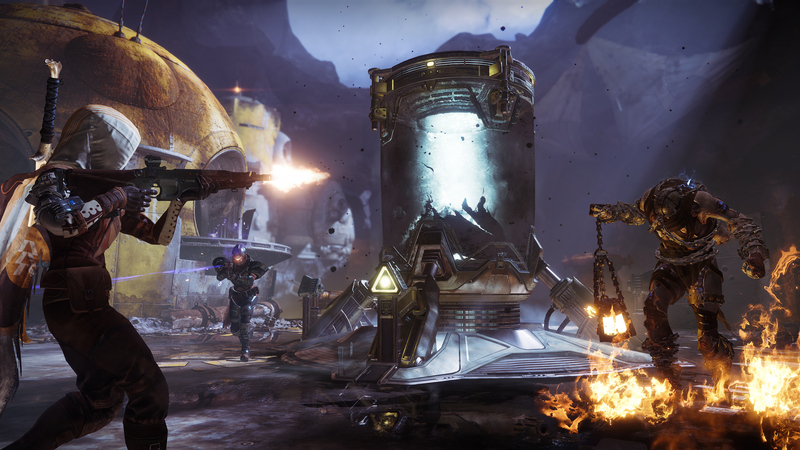 The game is now booming with the release of Destiny 2: Forsaken the first full expansion of the second year of Destiny 2. The expansion perfects the gameplay of the base game and throws a flood of new content on top, making the infinitely playable shooter even more infinitely playable. One of the biggest innovations is Gambit, the brand new mode that merges PvE and PvP for the first time in the history of the franchise. This mode was available early for a lot of players and when we tried it out we were pleasantly surprised. Although Destiny 2 is not the first game that attempts to combine PvE and PvP, the franchise is very suitable for it. We discovered this after a few minutes in Gambit, a mode in which two teams each get their own arena. These arenas are attacked by ai-controlled enemies and it is up to your team to slaughter them until you have enough points to write victory on your name. Killing enemies drop motes, these are “points” that you can exchange at the central pillar to summon a primaeval (the final boss at the end of the match which must be defeated to achieve victory). These can be “banked” one at a time or in bulk. Banking motes in bulk can reward you with a “blocker”, an enemy that spawns on the opposing teams’ arena and stops the team from banking their motes. When your team gathers 75 motes, a final boss spawns to be defeated to achieve victory. Banking 5 motes give you a small blocker, 10 for a medium blocker and 15 for a large blocker. By using blockers you get involved in a constant cat-and-mouse game with the other team and that makes the game a lot more dynamic. On top of that, banking 25 or 50 motes opens a portal one team member to travel to the opponents’ side. This is the PvP element of Gambit. As the name suggests, Forsaken pours a Wild West sauce over the Destiny 2 universe. The main new area in the game is The Tangled Shore, a fused asteroid that is the home of the Scorn. 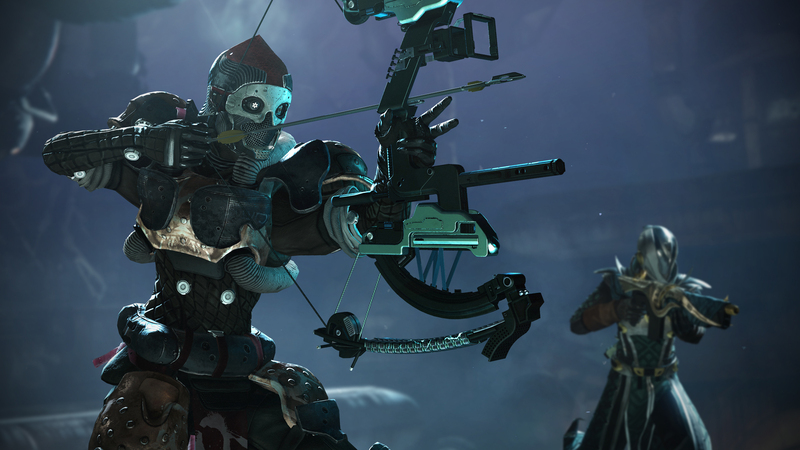 This new Fallen faction is led by eight different Barons, each with their own fighting style. Some prefer snipers, the others swear by their knife. Yet they all have one thing in common: they are on your list to be made a cup smaller and that is your main task for the storyline of Forsaken. During your hunt for the Barons, you will discover that the gameplay has undergone some changes. We deliberately do not talk about “innovations” here, because Forsaken reverses many changes in relation to the original Destiny. This way the random rolls are back, which means that weapons that you pick up each time have different stats. Furthermore, shotguns and snipers are no longer assigned to the same Power slot. Instead, you now get three generic weapons slots, giving you more freedom in combining different types of weapons. In my opinion, this is one of the finest innovations because you can now fully match your arsenal to your playing style. At the beginning of my play session, I immediately made use of that freedom by filling one of my slots with a bow and arrow. This new weapon type comes in three variants (short, medium and long distance) and is perfectly suited for gamers who like to align their shots carefully, but aren’t a fan of snipers. In addition, Forsaken introduces a new Super for each subclass and we can also get started with a brand new Raid. This takes place in The Dreaming City, a new environment that also forms the home of the Awoken. We do not know much about this dream city yet, except that according to Bungie it is the first environment that is fully designed to support endgame content. That sounds so promising. A high price tag in the long run! 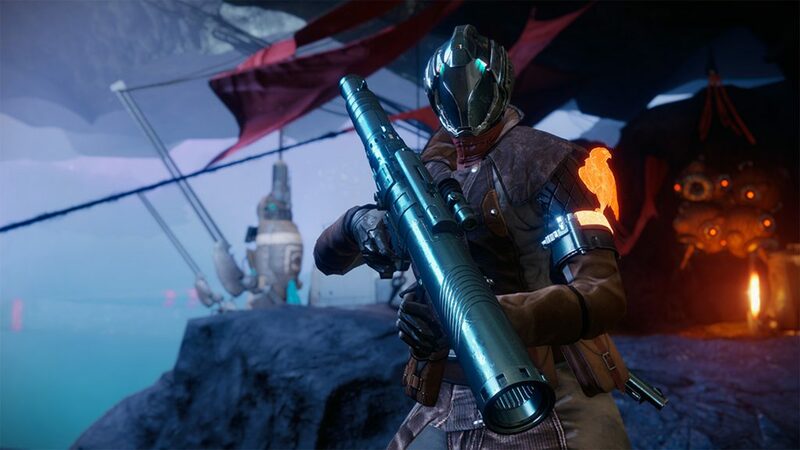 The latest major innovation is perhaps the most controversial: when you buy Forsaken, you do not have direct access to all content that Year 2 of Destiny 2 will offer. This was the case with The Dark Below and Rise of Iron, but from this year you will have to purchase a standalone Annual Pass to access the extra content drops of the winter, spring and summer. It seems that Forsaken offers enough to justify his price tag, but it still feels strange that as the owner of the latest expansion pack you will miss out on challenges, weapons and activities within a few months. Although the new DLC model from Destiny 2 is geared more towards new fans as opposed to fans who have been part of Destiny 2 from the start, Bungie still delivers a very complete package with Forsaken. Gambit is as hectic as it is entertaining and because Bungie finally has the courage to reverse his most controversial changes, one of the tastiest shooters on the market gets even better. At the same time, this also ensures that gigantic innovations are not forthcoming; the new content mainly builds on the basis of Destiny 2 and because the PvP influences in Gambit are limited, there is more a twist than a completely new experience. Nevertheless, Forsaken makes Destiny 2 even better and more comprehensive, which will be enough reason for most fans to purchase this extension in September blindly.